Anyπakok (Disobedience) by Studio INI. Photography by Ed Reeve. 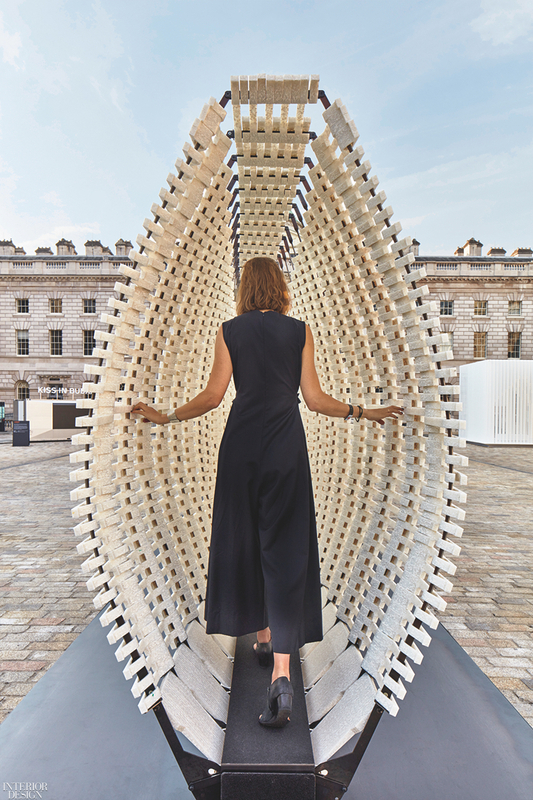 The theme for the second London Design Biennale was Emotional States. 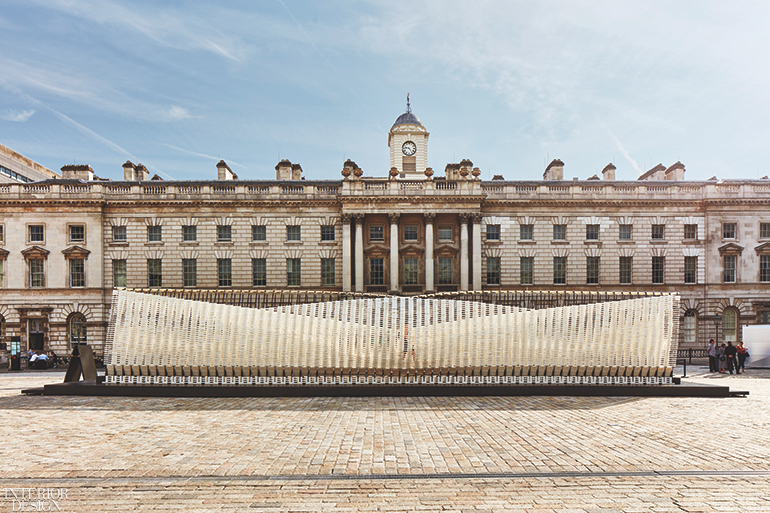 Among the 40 countries and territories that participated was Greece, its pavilion by Studio INI spanning much of Somerset House’s central courtyard. Titled anyπakok (Disobedience), the work is derived from disobedience being a characteristic of the Greek temperament since ancient civilization, explains the studio's founder Nassia Inglessis, noting the mythological Prometheus, for example, felt a moral obligation to disobey the gods in order to create opportunities for human progress. “Architecture is typically static,” she says. “But creative disobedience has the ability to break barriers, open borders, and reconstruct a space for something better.” In this case, a 56-foot-long corridor that responded to viewer interaction. 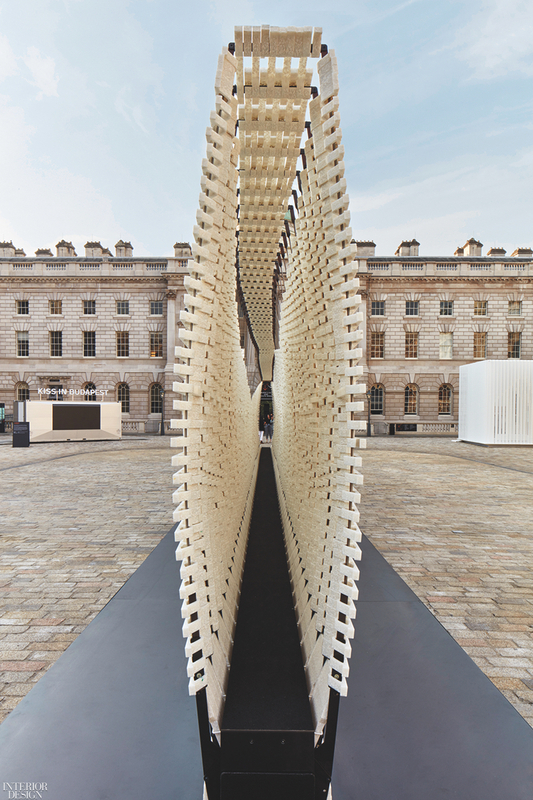 As visitors walked along the installation’s steel base, they activated the springs under the steel-rib frame, which caused the panels of CNC-cut recycled plastic sheathing the frame to contract in and out. “The idea is that a wall no longer symbolizes a boundary,” Inglessis notes. After London, anyπakok traveled to the Kolkata Centre for Creativity in India, where it’s permanently installed. 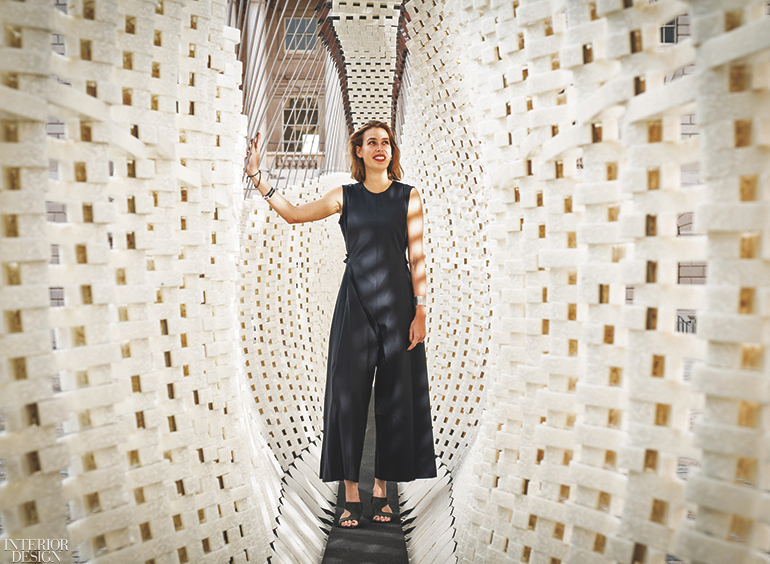 “The experience that you can affect your physical environment at an architectural scale,” says Inglessis, who was born in the U.K. but raised in Greece, “resonates across cultures and countries.” Her boundary-pushing efforts will soon resonate stateside, when her Urban Imprint installation comes to A/D/O in Brooklyn during May’s NYCxDesign.